Dionne Malush is a listing and marketing specialist in the Pittsburgh area. In real estate since 2004, she calls herself The Almost Famous Realtor. With a creative background (over 27 years as a graphic designer), she has been able to climb to the top in her market utilizing her artistic ability. Dionne is a 1989 graduate of the Art Institute of Pittsburgh. Since starting her real estate career, she has been coached by many of the top real estate coaching companies in the country. She was ranked in the Top 500 Real Estate Marketers in the US and Canada. Dionne is a Certified Home Selling Expert which entails hours of training each week. Her graphic design background and many years of training help to set her apart in an industry where anyone can become a real estate agent but becoming a successful agent is a much bigger challenge. She is able to really showcase her listings because of the marriage of graphic design and real estate. Her properties stand out for many reasons including utilizing professional photographers and treating a home as a product that deserves the very best marketing. She has achieved the prestigious Centurion Award from her 5 years at Century 21 Frontier Realty. Ranked in the top 1% in sales at Coldwell Banker Pittsburgh over 1,000 agents, the #9 REMAX Agent in Western PA and was ranked #8 Northwood agent in the entire Pittsburgh/Ohio region in 2015. She consistently sells between 60-70 homes each year when the average agent nationwide sells between 8-12. In 2015, her best year ever, she closed 74 transactions while being injured for the last 2 months of the year. She also closed her biggest transaction of her career by selling a home to one of her beloved Pittsburgh Penguins. 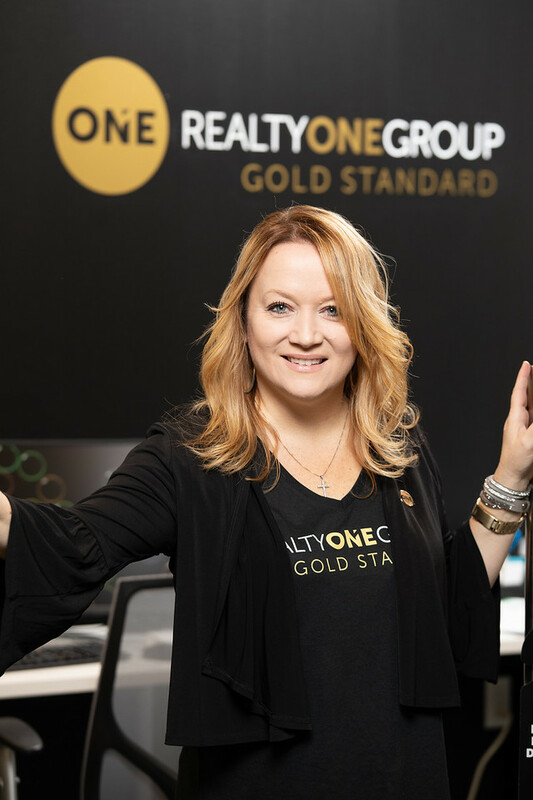 Dionne is part owner of Realty ONE Group Gold Standard in Pittsburgh. She has also co-authored “The New Rise in Real Estate”, a book that has reached #1 on Amazon.com’s 2012 Best Seller List. Malush just recently published “25 Tips for Selling a Home in Pittsburgh” which is also sold on Amazon. She has trained and masterminded in various groups with Bravo’s Million Dollar Listing Agents, Josh Flagg from Beverly Hills and Fredrik Eklund from New York City learning their techniques to compete in the luxury real estate market. Working with her team, she is able to dedicate her to time to focusing on what she needs to do daily to get a house sold. She has a large Social Media reach. Dionne studies the law of attraction daily and maintains goals in writing to help her get to each level of her success. Part of her daily routine is studying many great books written by Napoleon Hill, Bob Proctor, Wallace D. Wattles, Grant Cardone and many other mindset authors. Dionne is a VIP member of Dan Kennedy’s local marketing mastermind too. An avid sports fan (Steelers, Penguins & Pirates too), she also loves Corvettes, Mercedes, Bentleys and Drag Racing. Enjoys going to beaches especially Key West, Myrtle Beach, Outer Banks and Santa Monica. She loves spending time with her family and Jason, her husband, just going jet skiing and snowmobiling, reading, and snuggling with her pets, Isabella and Hulk. Jason is an agent/investor with Dionne. His knowledge of homes helps him to guide the buyer in the right direction when making one of the biggest financial decisions of their life. He has 20+ years experience as a machinery mechanic. They have been together since 1998 and were married in 2017. They are both are passionate about doing what is best for their clients.